Flight accident coverage is one of the types of insurance that most people never want to think about. In the event of death or dismemberment while boarding, flying or disembarking, the policy provides a lump-sum benefit. This type of trip insurance is limited to death, dismemberment and blindness. If a person becomes totally blind from an injury related to boarding, flying or disembarking, the policy will cover up to the limit. For dismemberment of a foot or hand, it will usually cover 50 percent of the limit and up to the limit for multiple dismemberments. When a policyholder dies, the insurer pays 100 percent of the benefit to survivors. Coverage limits vary from one company to another, and higher limits come with higher premiums. If the plane hits a bump or runs into something on the tarmac and causes a minor injury such as a sprain, laceration or fracture, flight accident insurance does not cover that. Medical travel insurance is important to have for minor issues, medical emergencies and illnesses. However, those issues are covered in separate policies. Flight accident coverage is only limited to incidents on the plane. For example, a traveler who falls from an escalator and dies in the airport would not be covered by flight accident insurance. This form of travel insurance is helpful for anyone who does not have a good life insurance policy. 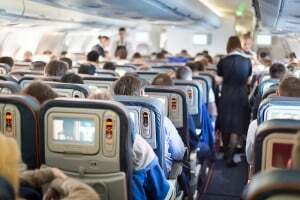 Although airlines may be liable for deaths or dismemberments that happen because of their negligence, the multiple federal agencies involved in the many investigations that happen after the incident cause lengthy delays. In many cases, it takes years for dismemberment victims or survivors of people who died to receive compensation. The policy’s benefit provides money upfront for immediate expenses such as a funeral, shipping a body, medical care or living expenses until the airline provides compensation. Flight accident insurance is an add-on feature to a trip insurance policy. When choosing a travel insurance plan, it is important to pick a coverage limit that meets individual needs. Always pay attention to the company offering the coverage. If it sounds too good to be true, look up third-party reviews about the specific policy and travel insurance company. Read policy terms carefully, and compare several plans before making a final decision.